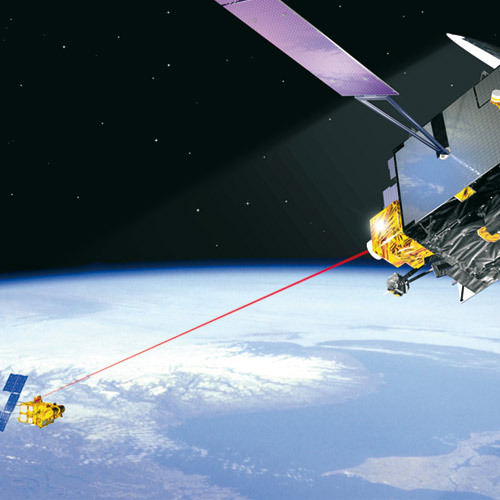 Satellites communicate with one another using laser beams. For this communication, the transmitter must be very precisely aligned with the receiver. The laser beam is stabilized using a deflection mirror. The position values are recorded with miniature eddy current sensors from Micro-Epsilon which achieve a resolution of better than one microrad. These sensors are also used in positioning tasks such as for laser tracking or lithography.